Marie Lewis, customer insight manager at eBay, told delegates at day two of MRS Annual Conference how combining “big, complex” data from purchasing patterns along with “smaller, ad hoc” attitudinal research has delivered powerful results for the online retailer, while boosting the business’ faith in the power of research-based decisions. Describing what was termed the “UK Buyer Compass”, she outlined how eBay had segmented its entire UK database, whilst delivering “granular” insight from research into over 20,000 customers. She said that it was important to identify “quick win” projects from the outset in order to counteract any scepticism from the business. Initiatives were cherry-picked, she said, as the brand made a play to better understand its existing customers, and to move away from an acquisition strategy which had been in play for some 15 years. The approach identified ways in which existing customers could be served better and uncovered some important trends and behaviours amongst the user base – such as the value of just one loyal customer, which was proven to be worth over 20 customers with a lesser brand attachment. Engage Research’s Deborah Sleep, which worked with eBay on the project, said that share of wallet calculations are allowing eBay to serve strategies for segments – such as those who are capping spend due to budget, versus those who are capping spend due to hesitance around eBay. The project is now being rolled out to other markets, with quick wins having ‘galvanised’ the business, they claim. “Big data on its own is not as actionable. This would tell us the why,” explained Lewis, who said that experience of segmentations in the past had shown that they “come and go”. 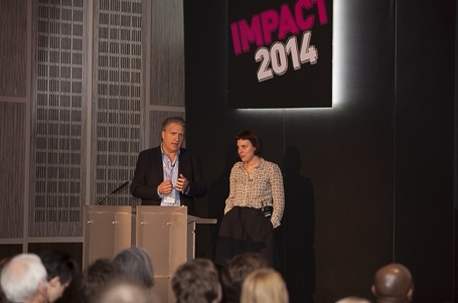 Presenting at the same session was Stephan Shakespeare, founder and global CEO of YouGov, and Elinor Bateman, of ITV’s research and planning team. They outlined how a solution, dubbed “programme or audience ‘trace’” had helped to predict programme performance, optimise planning decisions, and maximise commercial gain. “It’s innovative because of granularity and scale,” said Shakespeare, with Bateman describing the programme as “industrial qual”. The tool serves up real-time engagement metrics and – thanks to offering viewers sliding scales and buttons such as ‘I would have switched off by now’ – it reveals at what point in a show engagement peaks, or drops off a cliff.